From the moment the bus stops, Auschwitz and Birkenau, 67 and a half years to the day after their liberation, are heaving with guided tour groups in a Babel of languages. The story goes on and on: three-and-a-half almost relentless hours, slug after slug of horror, atrocity piled on atrocity. Three-and-a-half hours – but what is that to what happened here? Our guide to this inferno, Dante with an umbrella, is a young Polish man. Matter-of-fact detail delivered in calm, thoughtful English, quietly bristling both with bitter, understated indignation and with the quality which was most entirely missing 70 years ago: simple human sympathy. Yet so many people come here – over a million a year, a figure which neatly matches the number who died – that there has to be hope. 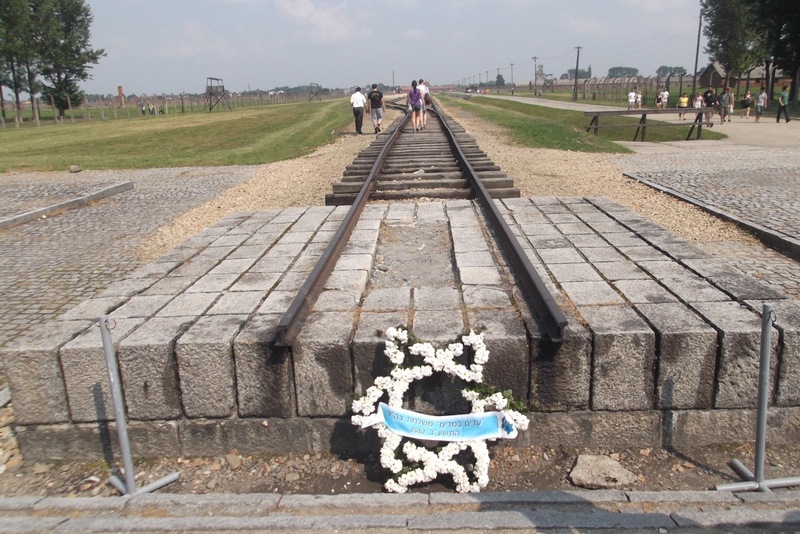 For me what did it was the corridor lined with startled, disoriented, terrified mugshots of the inmates at Auschwitz I – each labelled with two dates, the date of arrival and the date of death. All had a date of death; none survived. All those voices that cannot speak. Other people might have different moments when they reconnect with fundamental values – the piles of human hair, or the shoes, or the simple kitchen implements which these trusting innocents – could have been you or me – brought with them in the belief that they were to be resettled. Surely, if enough people carry with them a searing recollection, there is a chance that next time enough people will say “no” before it all kicks off? Does the existence of Auschwitz in the European memory have anything to do with why in Greece, now in depression for five years, the neo-Nazis cannot muster more than a few percent of the vote? 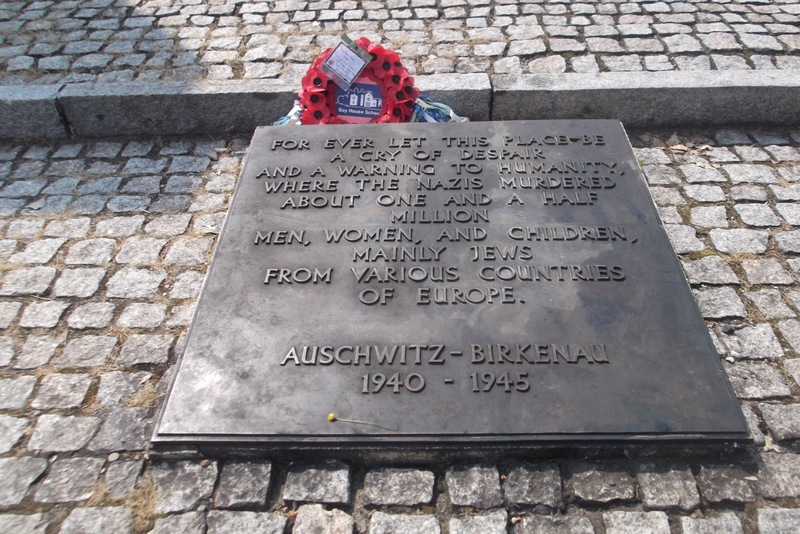 This entry was posted in anybody up there?, bleakdom: don't blink, misery for the many, freedom for the few, road and tagged Auschwitz, central Europe, Germany, holocaust, Judaism, Nazis, Poland, World War II. Bookmark the permalink.